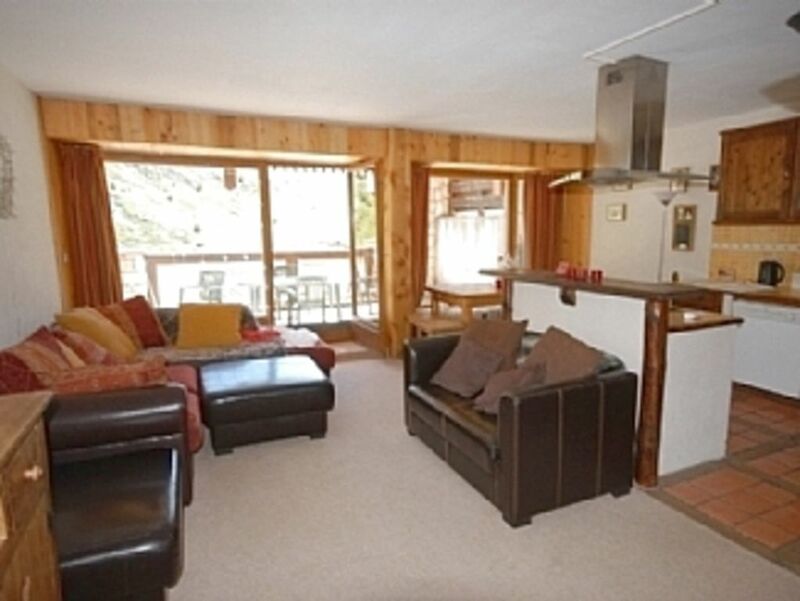 Situated in Tignes Le Lac, this large, spacious ski apartment with large sunny balcony (great for making snow men on!) is perfect for ski holidays. Conveniently situated close to ski lifts, great restaurants and bars, to relax in after a day on the slopes. We have owned this property in Tignes for 8 years and love it as a second home. We are a professional couple living in London with two children. 1 Bathroom with bath/shower. Separate wc. Open plan living room and dining room with big L shaped sofa and dining room table seating up to 10 people (perfect for dinner parties!). Big flat screen TV with video and DVD. Huge almost full length windows overlooking mountains and lakes. Open plan kitchen with large fridge, freezer, oven, hob, microwave and dishwasher. Perfect location, spacious apartment, beautiful view. We were seven adults that stayed in the apartment for 7 days of skiing, the apartment was exactly what we needed, for a great price and a perfect location that was close to everything. We had a great time. Fly into Geneva, 2.5 hour drive up to Tignes. Grenoble and Lyon 2 half hours drive. Chambrey airport. Transfers available if not driving, from Tignes website. By train to Bourg St Maurice from London - Paris. Cool Bus transfers. Bourg st Maurice 40 mins drive. Ski or drive Val D Isere. Everything else walking and ski distance. Great restaurant, bars and nightlife all within walking distance. Also a pool and spa close by. Tignes health and fitness centre a very short bus ride. Val Claret and Tignes have everything you should need to make your skiing holiday perfect.